Beyoncé Knowles and Jay Z are reportedly relieved to have made it to their seventh wedding anniversary. 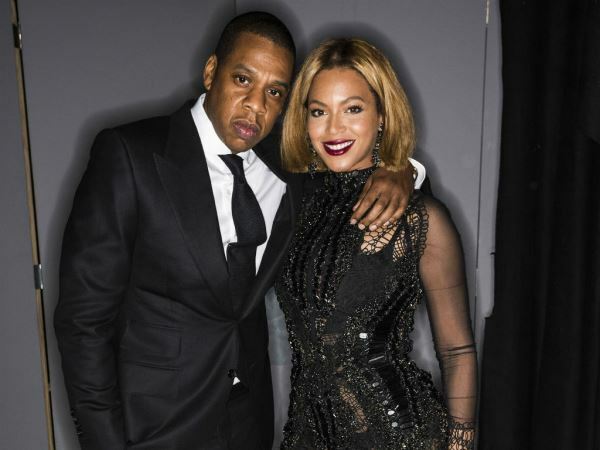 The A-list couple, who are parents to three-year-old daughter Blue Ivy, seemed to have one of the strongest unions in showbiz, until an incident between Jay and Beyoncé's sister Solange hit the headlines last year. An argument broke out between the pair in an elevator, soon turning physical when Solange attacked her brother-in-law. Jay and Beyoncé celebrated seven years of marriage last weekend, which was apparently a big milestone for the pair. "It's been a tough year for Bey and Jay and they're feeling the strain. They've been seen arguing in public and Solange attacking Jay in a lift was the worst thing that could've happened. It totally burst their bubble and shattered their 'perfect couple' image. It's a relief that they've made it to seven years after the strain they've been under," an insider told British magazine Now. Since the elevator incident the couple have been hit with more scandals, most recently when Rymir Satterthwaite claimed to be Jay's love child from a relationship he had with a woman named Wanda in the 90s. Sources also say Beyoncé has had enough of Jay's close professional bond with Rihanna, which is said to include a private telephone line between the two. "Beyoncé has always been aware that he has several different numbers, but when she discovered Rihanna has a hotline to her husband, she was livid. She absolutely hates how close they are, but feels powerless to stop it," a source told British magazine Grazia.